Matthew Baker drives to the basket against Roosevelt. 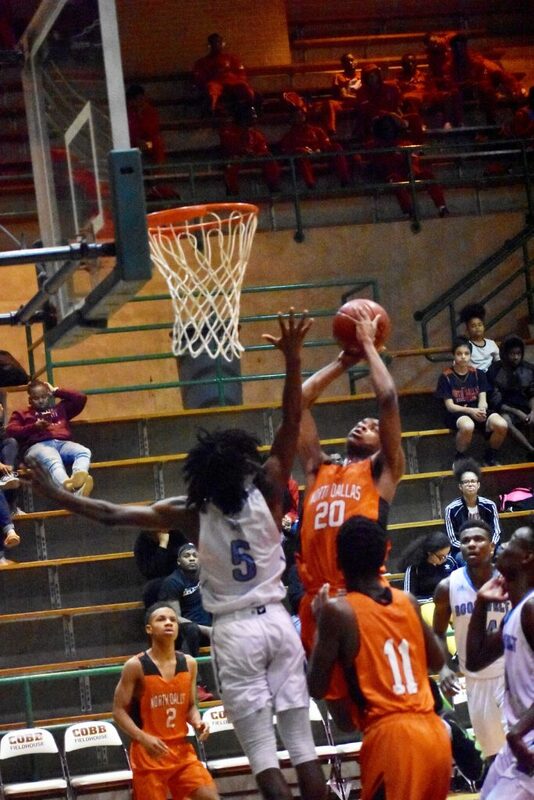 North Dallas’ boys basketball team will be celebrating “Senior Night” during a pregame ceremony before the Bulldogs play the Pinkston Vikings at 7:30 p.m. Tuesday at Cobb Field House. The junior varsity game starts at 6 p.m. This year’s group of seniors includes Matthew Baker, Jah’Ques Shelvy and Vernell Lee. The Bulldogs have only two games remaining, starting with Pinkston and then closing the season against Wilmer-Hutchins on Friday at Cobb Field House. “They got us pretty good over at Pinkston, so hopefully our guys are a little ticked off and will be able to play,” North Dallas coach Jeremy Mason said. 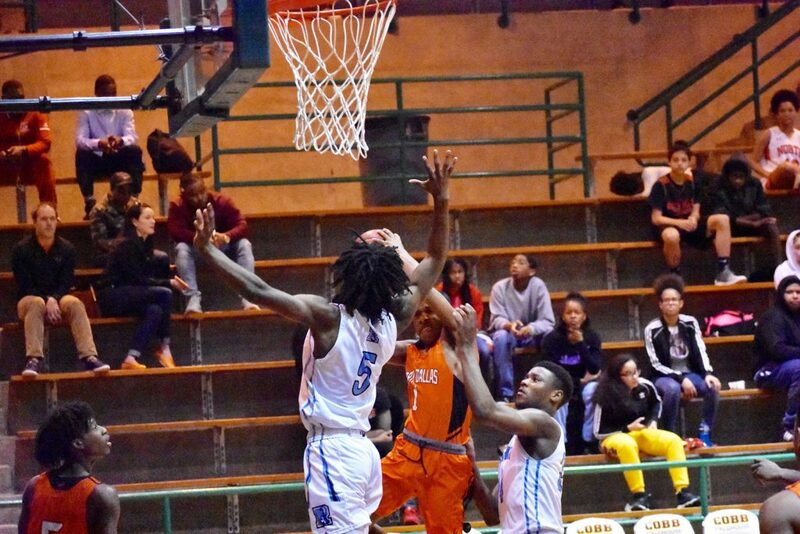 The Bulldogs are coming off a 63-49 loss to Roosevelt on Saturday. The Bulldogs led 23-21 at halftime, but Roosevelt rallied in the second half. 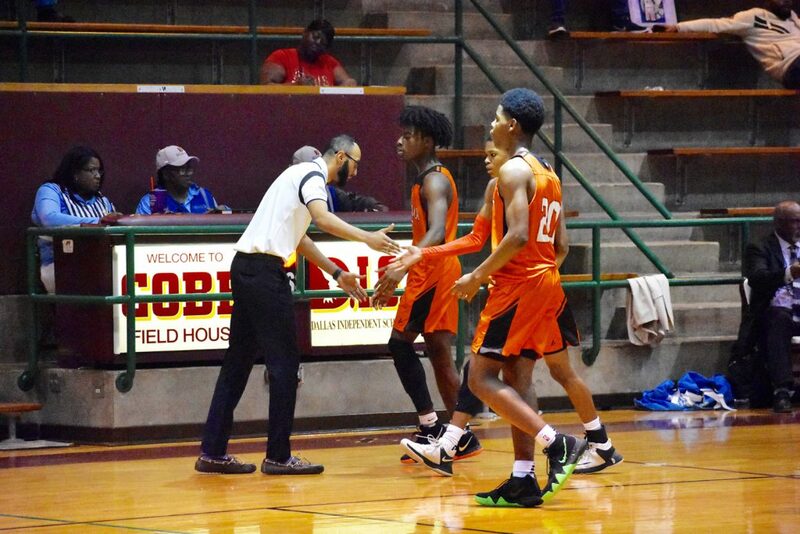 Speaking of next year, assistant coach Eric Gracia, who has been working with the junior varsity team, said exposing the JV players to high school basketball is eye-opening. “It’s definitely been a learning process,” Gracia said. “When you have a JV team that is 90 percent freshmen, and of those freshmen, you have a lot of those kids who have never played basketball before, it’s a learning process. We’re in a very tough district but having those freshmen see that tough competition early hopefully hardens them up for their sophomore season and junior season. To where they can say, we ‘ve played against Carter, we’ve played against Lincoln, against these top teams, and now we can go out and compete against these other guys. 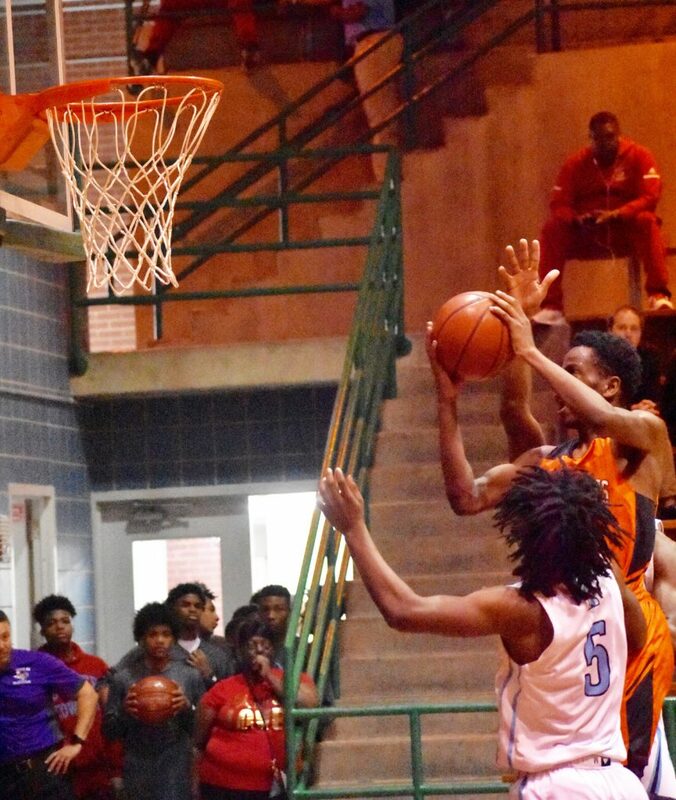 Vernell Lee takes a shot at the basket against Roosevelt. 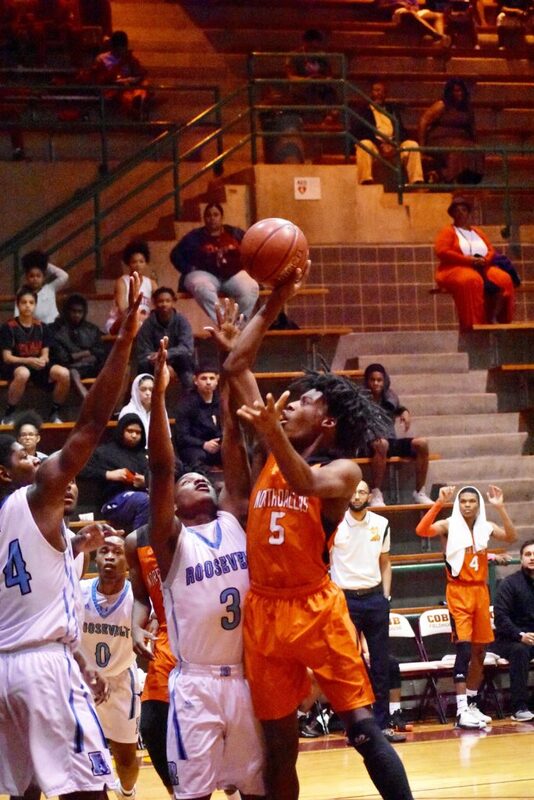 Jah’Ques Shelvy shoots over the Roosevelt defenders. 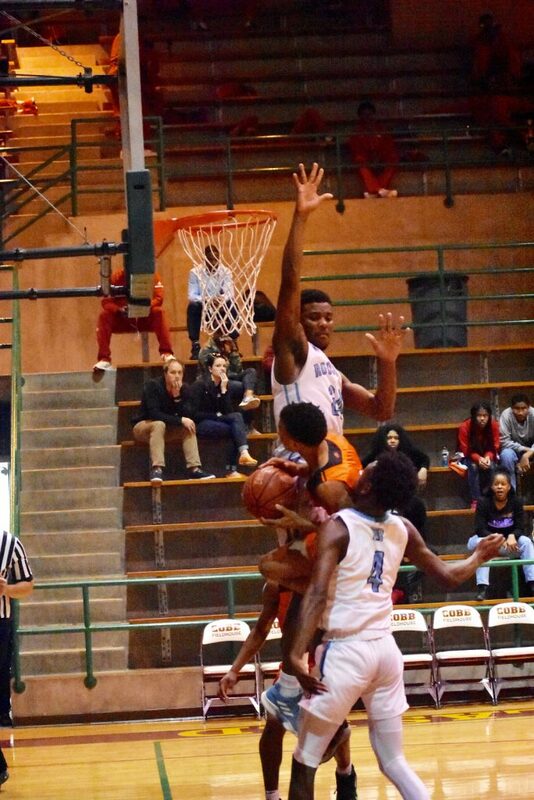 Jalen Green runs into a Roosevelt player and gets fouled as he drives to the basket. Larry Dorn goes up as he drives to the basket against Roosevelt. North Dallas Coach Jeremy Mason congratulates his players for their hard work and hustle against Roosevelt.